Structure made of Northern Pine Wood pressure treated with non-toxic salts. Length cm 190. 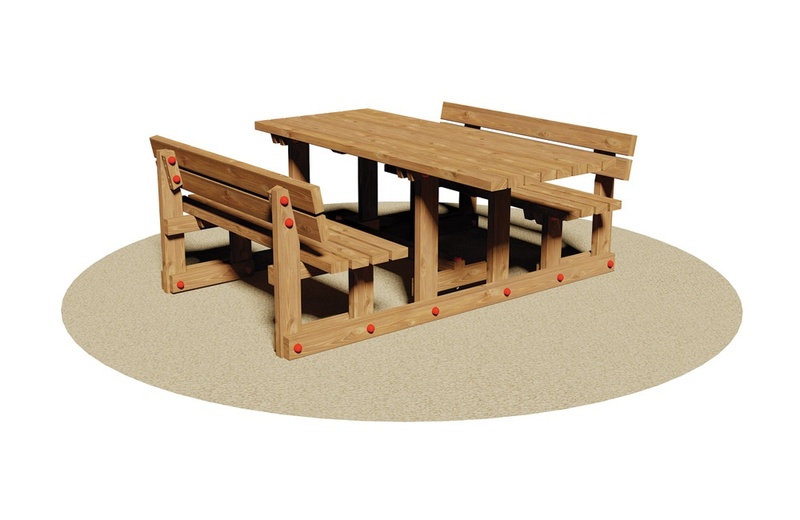 It is composed of one cantilever table, appropriate for physically challenged children and two benches with backrest. The backrest is composed of boards with section mm 110x45, the table and the benches are composed of boards with section mm 90 x 45 and they are firmly connected through two joists fastened on the lower part of the feet. Assembly system with galvanized steel bolts. The structure is supplied in an assembly kit.